This post marks my latest and only third review for TLC Book Tours. Obviously, “The Sky’s the Limit” (truly) with these tours as I have read and posted about non-fiction (Unbound) and short fiction (All the News I Need). Today’s featured book is a bit different from my previous reads. 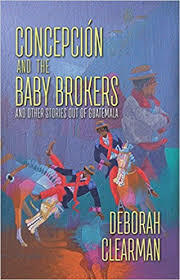 In nine interconnected stories set largely in Guatemala, Concepción and The Baby Brokers brings to life characters struggling with familiar emotions and dilemmas in a place unfamiliar to most Americans. From the close-knit community of Todos Santos to the teeming dangerous capital city, to a meat-packing plant in Michigan and the gardens of Washington DC, Deborah Clearman shows us the human cost of international adoption, drug trafficking, and immigration. Concepcion and the Baby Brokers weaves together stories from all aspects of Guatemalan society. It reminded me a bit of a Barbara Kingsolver novel, perhaps because of the Latin American angle. Clearman’s voice is clear and simple (again like Kingsolver’s). 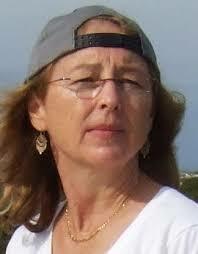 She describes her characters in regard to their life experiences with little elaboration on the motivation. (Most of the motivation in this novella and short stories involve simply surviving or striving for a simple happiness.) I could feel empathy for her characters and I could understand their decisions and rationale in a society that is difficult for some of us in the States to understand. I enjoyed this compilation, all connected yet separate stories. I wanted to make something indigenous to Guatemala and after a quick search for authentic recipes, I landed on Guatemalan Quesadillas (Sweet Cakes). Unlike the cheesy goodness slapped between two tortillas (a la a Mexican quesadilla), this Guatemalan dish is like a rich buttery muffin. The original recipe, an heirloom Gourmet one, can be found here . Preheat oven to 350°F with rack in middle. Line muffin cups. Beat together butter and sugar in a large bowl with an electric mixer until pale and fluffy, 2 to 3 minutes. Beat in eggs 1 at a time, beating well after each addition, then beat in cheese. Mix in flour mixture at low speed until just combined. 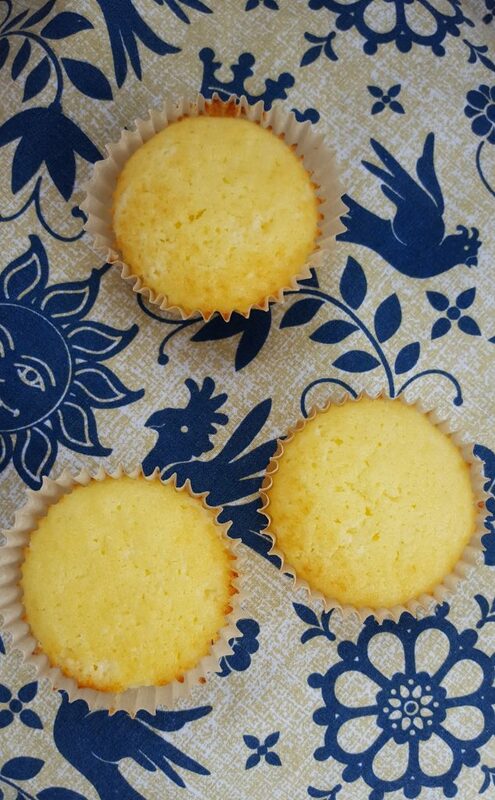 Divide among nine muffin cups (a slightly rounded 1/4-cup batter each). Bake until pale golden and a wooden pick inserted in center of a cake comes out clean, about 25 minutes. Cool cakes in pans on a rack 15 minutes, then turn out onto rack and cool to warm. *If you don’t have farmers cheese, you can drain cottage cheese as a substitute or use ricotta (which is what I did). These little cakes are a sweet reminder that life does not have to be as dark as depicted in Concepcion. Aside: For another level of sweetness, these little cakes are wonderful with strawberries on top. I didn’t know that Guatemalan quesadillas were so different. Sweet recipe! Sounds like a sweet read, too. Thanks! Amazing how the same Spanish word can mean different things in different Spanish-speaking countries. LIke “tortilla” in Spain is a kind of omelet. Your sweet quesadillas must be divine. I had not heard of this author but your review makes me want to read more about her and her books. Great creation, love the strawberry topping too. The sweet cakes sound and look great! I love your book reviews and will be checking this out as I’m a big fan of Kingsolver’s writing! Thanks for both! I was intrigued by the idea of a muffin like quesadilla, so different from what we usually think of. 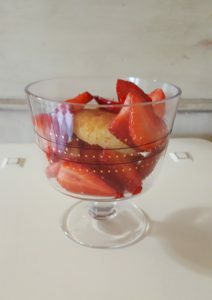 And especially with strawberries! The book sounds a bit dark, but challenging. Those look delicious! I love the addition of cheese to the mix – yummy! Any book that reminds you of Kingsolver gets added to my list. Thanks for the review and a new read! I’ve never heard of sweet quesadillas but because they look SO good, I need to give them a go. Great post!